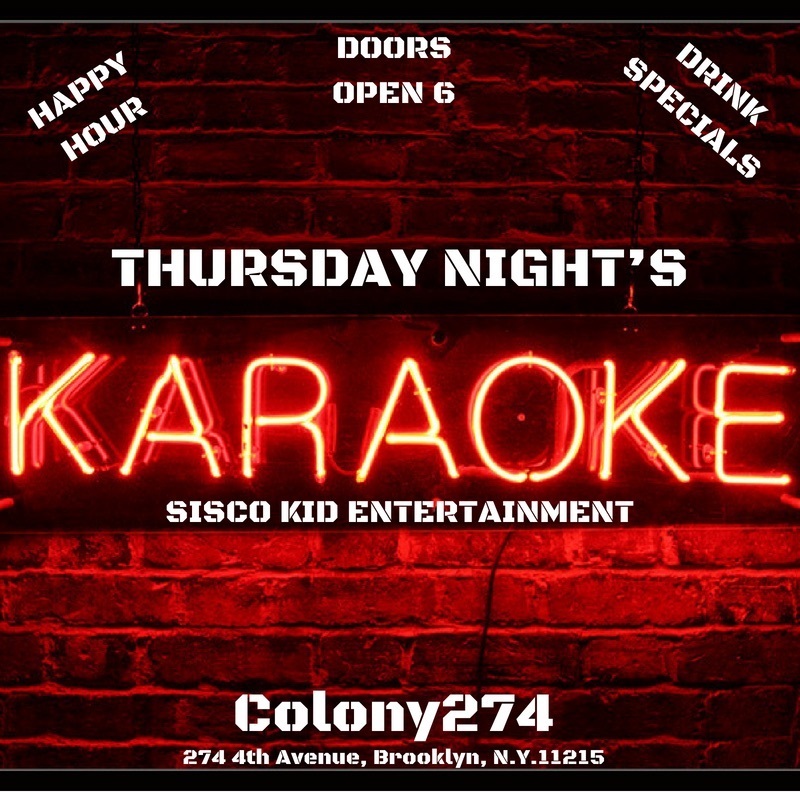 Join the Sisco Kid along with Brooklyn’s Karaoke ROCKSTARs - every Thursday come give us your best shot and sing your heart out. Tremendous library of everything, shots for our singers and a great crowd that will cheer you on when your doing great - hold you down if your new to the song. Bring a coat for the coat drive, a toy for the toy drive, gloves or a box of hot chocolate - 1 drink on us. KARAOKE THURSDAYS - 80's Edition! Bring on your best 80's Song! !